Writer's Digest Books, 9781599634005, 217pp. Create fiction that transcends genre, conjures characters who look and feel more "real" than real people, and shows readers the work around them in new ways. Infuse every page with an electric current of emotional appeal and micro-tension. Harness the power of parallels, symbols, metaphors, and more to illuminate your novel in a lasting way. Develop a personalized method of writing that works for you. 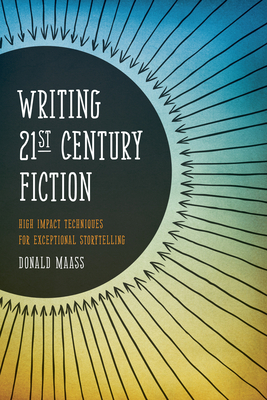 With an arsenal of thought-provoking prompts and questions, plus plenty of examples from best-selling titles, Writing 21st Century Fiction will strip away your preconceived notions about writing in today's world and give you the essential tools you need to create fiction that will leave both readers and critics in awe. Donald Maass heads the Donald Maass Literary Agency in New York City, which represents more than 150 novelists and sells more than 150 novels every year to publishers in America and overseas. He is a past president of the Association of Authors Representatives, Inc., and is the author of several books of interest to fiction writers, including Writing the Breakout Novel, The Fire in Fiction, and The Breakout Novelist (all from Writer's Digest Books).